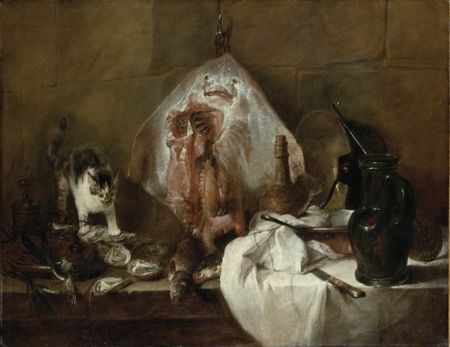 Jean Siméon Chardin (1699-1779), Ray also called Kitchen Interior (1725-1726). Oil on canvas, 114 x 146 cm. Paris, Musée du Louvre. MADRID.- The Museo del Prado presents the exhibition Chardin, a comprehensive survey of the work of Jean Siméon Chardin (1699-1779). Chardin is one of the leading names in 18th-century French painting but has never been the subject of an exhibition in Spain, which only houses three of his paintings, all in the Museo Thyssen. After being shown at the Palazzo dei Diamante in Ferrara, the exhibition is presented in Madrid thanks to the sponsorship of Fundación AXA. 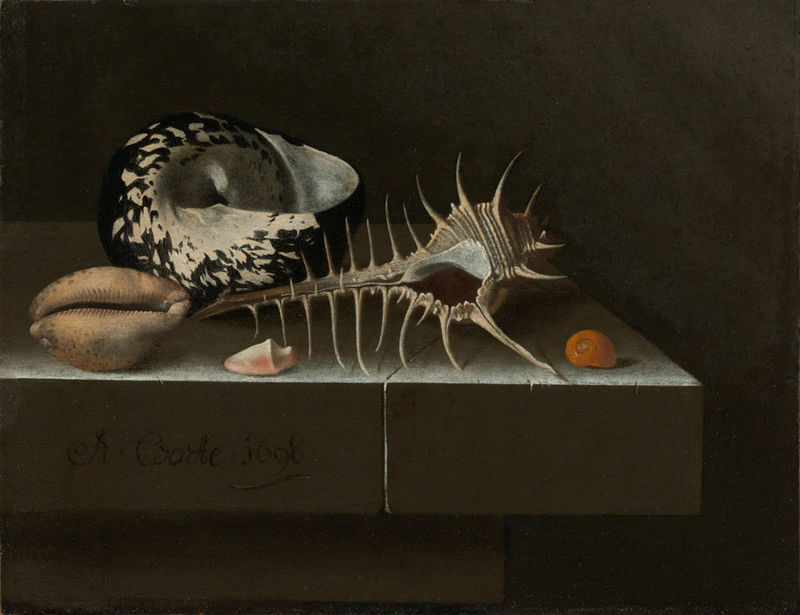 It comprises 57 paintings by this great master of the still life and of genre painting, including some works not shown in the version of the exhibition seen in Italy. 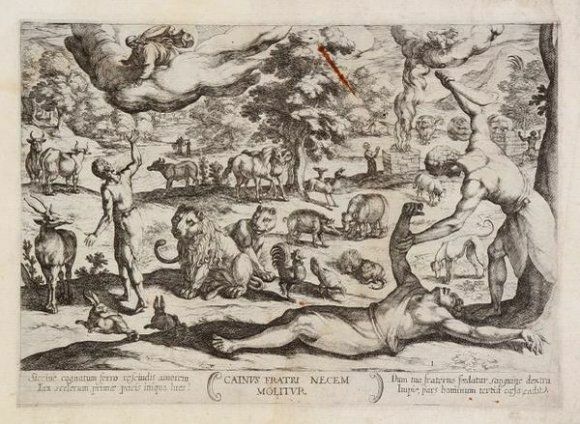 The exhibition is on view from March 1 to May 28, 2011. 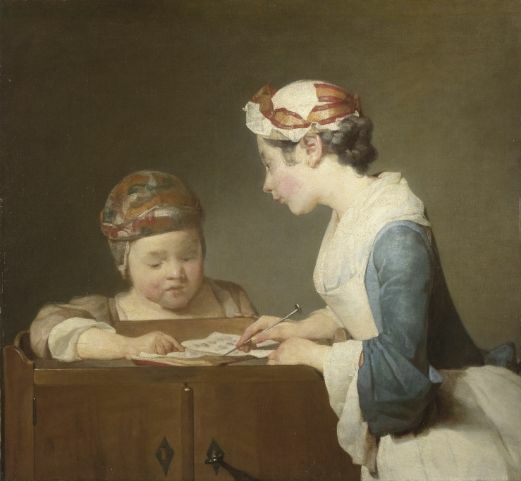 Jean Siméon Chardin (1699-1779), The Young School Mistress (1735-1736?). Oil on canvas, 61,6 x 66,7 cm. Londres, National Gallery. 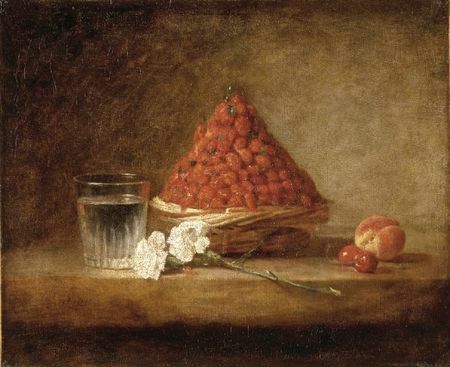 Jean Siméon Chardin (1699-1779), Basket of wild strawberries (c. 1760). Oil on canvas, 38 x 46 cm. Private collection. 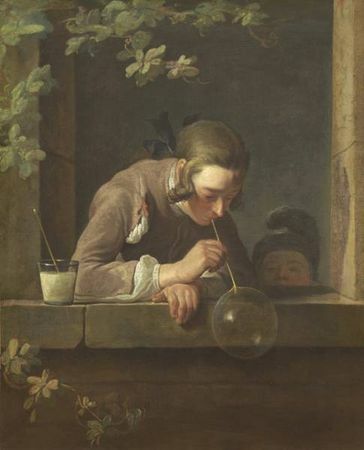 Jean Siméon Chardin (1699-1779), Soap bubbles (1733-1734). Oil on canvas, 93 x 74,6 cm. Washington, National Gallery of Art. 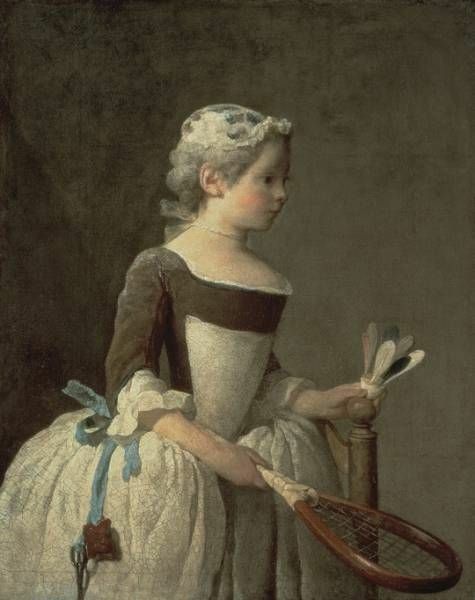 Jean Siméon Chardin (1699-1779), A girl playing Badmington (1737). Oil on canvas, 81 x 65 cm. Private collection.